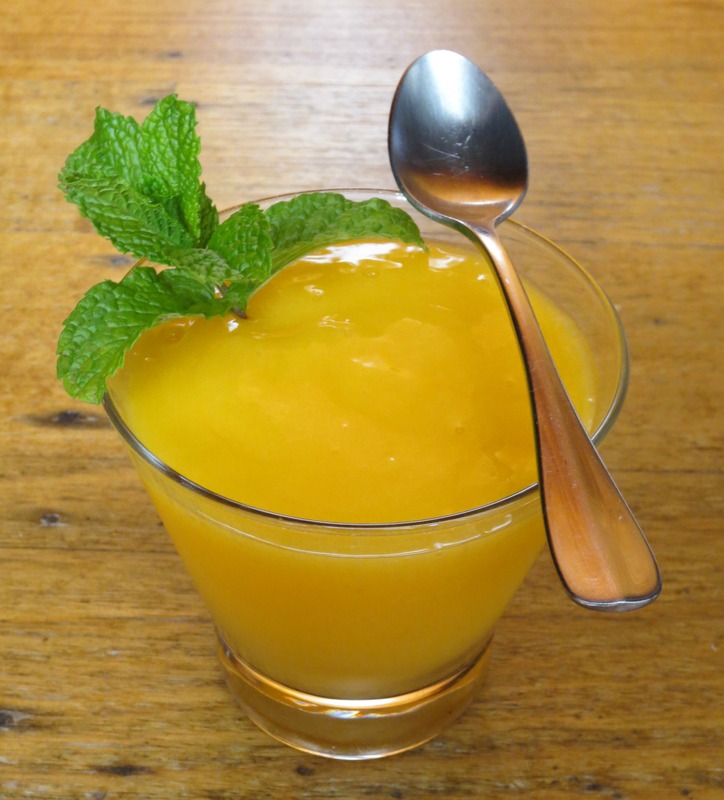 This simple fruit smoothie is reminiscent of the orange-mango juice that I used to drink at primary school. It came packaged in little Tetra-Briks that, once empty, you could inflate and then jump on to make a satisfyingly loud bang. While I doubt that kids still do that kind of thing – there’s probably an app for that now instead – the flavour hasn’t gone out of style, and you can still get orange-mango juice boxes at the supermarket. But, as with most things, juice tastes a hell of a lot better when it’s fresh. And, as with most juices, this one tastes better with alcohol in it. Serves two. Chuck everything in the blender, along with about a cup of ice cubes. Whizz it all up, then pour into two glasses. Garnish with mint if desired and serve with a spoon – this is a nectar-like drink so it’s kinda thick. 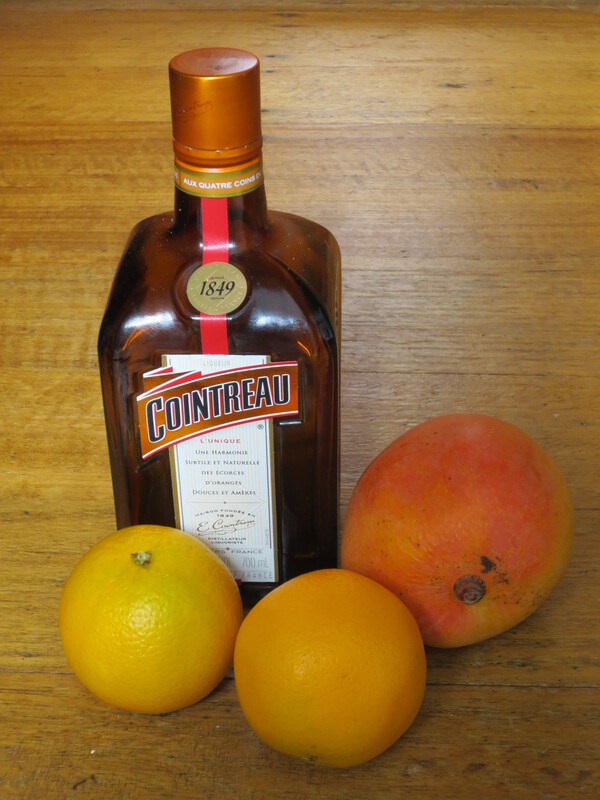 The hardest part is not adding more Cointreau! This one’s by 52 Cocktails.